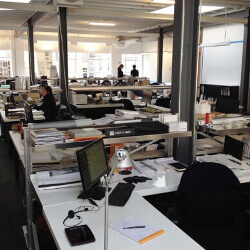 Shelving Configurations ⋆ Shelving Systems by E-Z Shelving Systems, Inc.
E-Z Shelving’s components have been likened to a shelving “erector set”. 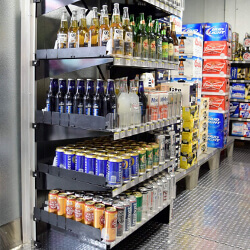 Our uprights, brackets, and shelves can be configured to almost any purpose in which heavy-duty, cantilever storage or work surfaces are required. 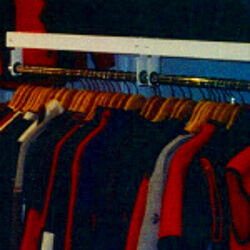 Select an option below to see more E-Z Shelving configuration details, including a rotating 3D model. 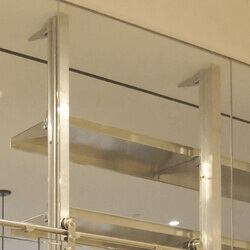 E-Z’s standard wall-mounted shelving systems are easy to configure and attach securely to most wall types with common hardware. 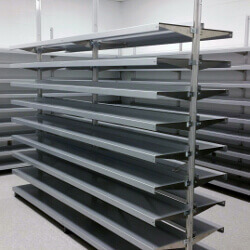 E-Z’s floor-to-ceiling shelving systems include floor and ceiling anchoring options for extra reinforcement. Extends a room divider to the open floor. 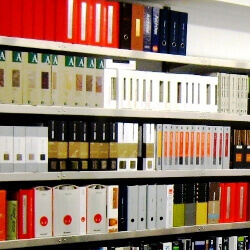 Our freestanding shelving configurations are reinforced to provide heavy load capacity where wall-mounting is not feasible. A complete work and storage solution.